A coalition of immigration and human rights groups on Friday sued U.S. Attorney General Eric Holder and other high-level government officials in federal court in an attempt to address the ongoing crisis of child refugees who are being sped through the U.S. government’s deportation process after being taken into custody near the nation’s southern border. The group of legal advocates—which includes the ACLU, the American Immigration Council, Northwest Immigrant Rights Project, Public Counsel, and K&L Gates LLP—say they are trying to block the government from pursuing deportation proceedings against several children unless it ensures those youth have legal representation. The coalition charges that immigration courts—under the direction of the Obama Justice Department—are speeding up deportation hearings against children in a way that is irresponsible and puts their very lives at stake. The children, most of them unaccompanied, are being pushed through the system—the lawyers for groups contend—without proper representation and little, if any, understanding of what is happening to them. The groups filed a lawsuit last month on behalf of thousands of children challenging the federal government’s failure to provide them with lawyers in their deportation hearings. The preliminary injunction motion, filed by the groups late on Thursday, specifically asks that the fast-approaching deportation proceedings for several of the named plaintiffs be forestalled until those children are provided with attorneys. The groups also asked the court to hear their motion for class certification as soon as possible, so that other unrepresented children may be protected as well. On Friday, with the Senate now recessed for the month of August, there is zero hope in Washington, DC that a legislative solution to the humanitarian crisis of the children will emerge from Congress until lawmakers return next week. 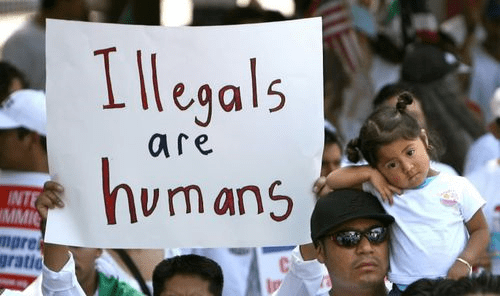 Top Obama administration officials have deemed the children priorities for removal, and not eligible for the president’s deferred action program that allows some younger illegal immigrants to remain in the country. The influx of cases has strained immigration courts, prompting the Justice Department to scramble to install more judges. Still, the advocacy groups say an expedited deportation process dubbed the “rocket docket” puts children in danger of being wrongfully deported. “Many children are eligible to remain in the United States, but may be ordered deported simply because they do not understand our complex immigration laws and how to prove their claims,” said Beth Werlin, deputy legal director of the American Immigration Council.